City Vision is reminding people that Wednesday 9 October is the final day for posting votes in the Auckland Council elections. After the post has been cleared on Wednesday, people will need to head to their local library to cast their votes. “Wednesday 9 October is the final day that votes can be put in the mail, with certainty that they will be received on time. After that, people need to head to their local library to vote. It is an innovation for libraries to be able to receive votes in the days leading up to election day and City Vision welcomes it. Any step that makes voting easier is to be applauded”, says Pippa Coom, City Vision candidate for Waitemata Local Board. People voting at the library still need to complete the voting paper that has been mailed to their home address. Complete the voting paper, seal it in the return envelope, and then deposit it in the ballot box at your library. 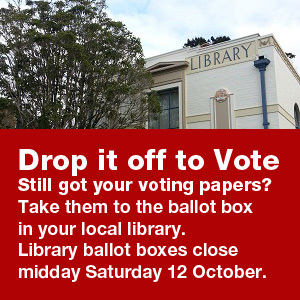 People can vote at their local library up until 12noon on Saturday 12 October. Auckland Council Service Centres, including the Civic Building on Grey St (ballot box) and at 45 Graham St (counter), will also be open on Thursday and Friday to collect completed voting papers. 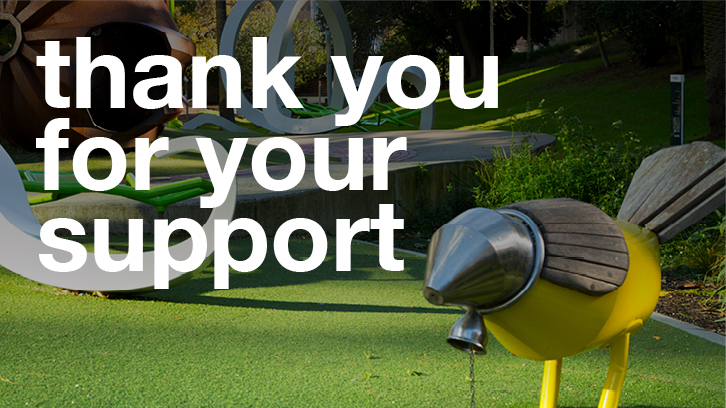 “As of Tuesday 8 October just 22% of Aucklanders have had their say by voting. City Vision urges all other Aucklanders to participate in our democratic process by mailing their vote this Wednesday, or by taking their vote to the library on Thursday or Friday, or on Saturday morning”, says Pippa Coom. YOU CAN STILL VOTE! TELL ALL YOUR CONTACTS!!! It’s a shame that none of the media coverage stated you can still take your vote to a library, and put it in a ballot box!! Too many people will now think it is too late…? Working families should be told they can put their vote in the ballot box at their local library right up to Saturday midday…!!! Agreed Karyn, My shop visiting along K.Rd revealed a large number of shop keepers or customers thought the voting had alread stopped on Wednesday!!!! Some still claimed they had not received their papers ????? As for district health Board…” Didn’t know” many said !! !